ALTAR SERVERS prepare the altar and assist the priest during the liturgy. This ministry is open to anyone in grades 5-12, who has received First Eucharist. EUCHARISTIC MINISTERS assist the priest in distributing the Body and Blood of Christ at liturgies. Some Eucharistic ministers also bring Communion to the sick, hospitalized and shut-ins, providing a continuing link between all parishioners. Contact: Robert Porter or Helen Odum. The ushers meet the 2nd Thursday of the month at 6:00PM in the parish hall. The YOUTH CHOIR will joyfully sing praises to God and encourage children to use their talents to spread the Good News of out Lord through singing. Rehearsals will be held on Fridays from 4:30-5:45pm in the Church. The ADULT CHOIR is for those who love to sing and would like to help us lead our congregation in worship. Your talent is God's gift to you, and what you do with it is your gift to God. Rehearsals are Thursdays from 7-9pm in the Church. HEALTH GUILD MINISTRY FOR CHRIST functions, and goals are to show the face of Christ to the medical profession, which is missing from the services of some personnel. We use the medical profession as a ministry in the parish, and the community as a subtle means of evangelization, which we show in the way we perform our duties. We have and will continue to present Workshops, seminars, as well as heaIth fairs to educate ourselves as well the church community regarding various diseases and eating habits, diets and exercise. We act as advisors, especially to the elderly as they seek help from various institutions. 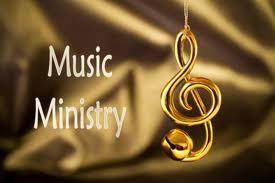 We encourage new members to join us in this rewarding ministry. YOUTH MINISTRY is that umbrella of leadership that takes charge in the activities of our young people, especially the social and cultural activities and certain liturgical functions. The committee is charged with organizing and guiding the Youth Ministry which consist of Acolytes, Youth Choir, Squires and Liturgical Dancers. We encourage ALL young adults of the parish between the ages of 18 and 35 to join us. Youth ministry meetings are held once a month directly following the Children’s Liturgy.